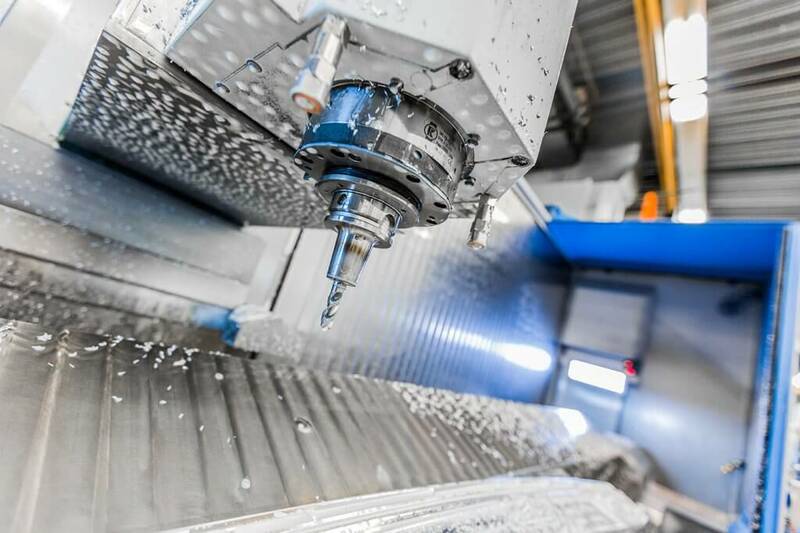 Devices in today’s production environment are increasingly connected in networks and to the internet, allowing industrial production systems to exchange information. Smart factories are responsive, demand driven, self-managing and self-correcting. KMWE has built up a leadership position in this area – Industry 4.0. The advantages: shorter time to market, improved Total Cost of Ownership (TCO), higher productivity, reduction of cost of non-quality, reduced lead times and inventory, better planning, better utilization of energy, assets and materials, and higher forecast reliability. These benefits are further leveraged through smart cooperation, facilities sharing, smart logistics, smart transit and supply chain management and technologies such as 3D manufacturing. The Brainport Industries Campus offers innovation, cutting-edge technology and shared facilities in natural surroundings. KMWE has built the Factory of the Future, featuring an Atrium for visitors and a state of the art production facility in a unique environment. Here, startups, customers and partners are taking the next step in the high tech manufacturing industry with KMWE. The increasing importance of intensive cooperation and co-creation offers new opportunities in the areas of technology, markets and human resources. KMWE offers services throughout the supply chain and product lifecycle. Our fully automated, self-managing 24/7 Smart Logistics system ensures the right product is available in the right place, at the right machine, at the right time and according to the required product specifications and dimensions. Production processes can continue without interruption and supplies and storage are optimised. The total solution comprises advanced packaging and storage, robot handling, a cloud portal and cooperation throughout the chain, resulting in many benefits. We are only as good as our people. However, the supply of tech professionals is limited. Furthermore, seamless integration between education and the technology industries has never been more important. That’s why KMWE provides training at intermediate vocational, higher vocational and university education levels (MBO, HBO en WO). We offer a platform that facilitates participation between companies and institutions helping to deliver a new generation of high tech manufacturing professionals. We offer support throughout the product lifecycle and beyond. From design and testing to prototyping, manufacturing and ongoing improvement. KMWE is a family company, open and focused on cooperation. We focus on personal development, training and close cooperation with educational facilities.